Today Tokyo Disney Resort's operating company, Oriental Land, announced through an official press release that they are investing 500 billion Yen (US$4.5bn approx) in the resort over the next 3 years, which will include a huge expansion to both theme parks, amongst other things. I thought it would be interesting to take a closer look at these plans, and offer some of my own thoughts. 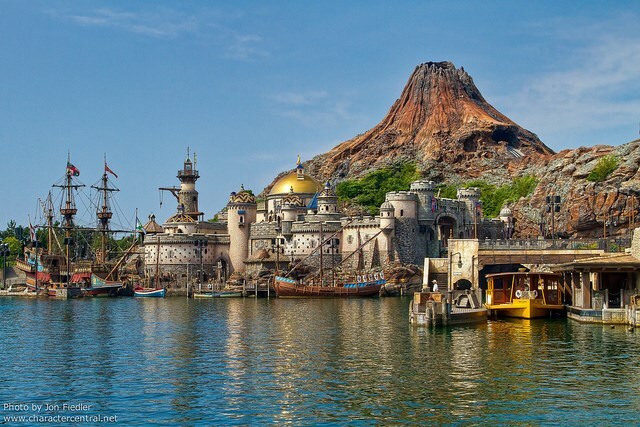 The key elements that are outlined in the plan are the development of a brand new themed port next to the Lost River Delta in Tokyo DisneySea, and the doubling in size of their Fantasyland, plus massive upgrades to the existing areas. 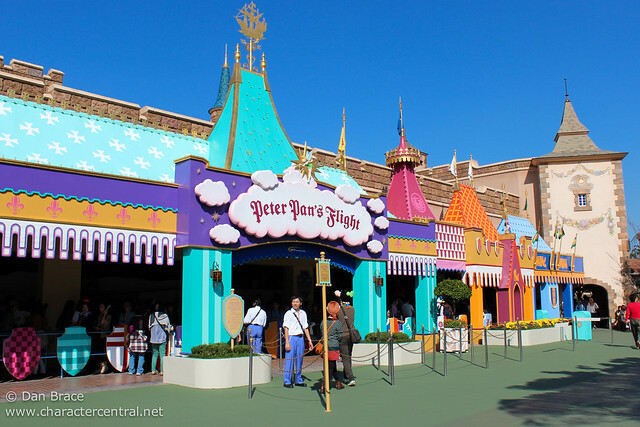 In the process of expanding Fantasyland it appears that the Raceway and the StarJets will be removed. I have inserted the images from the release, below. 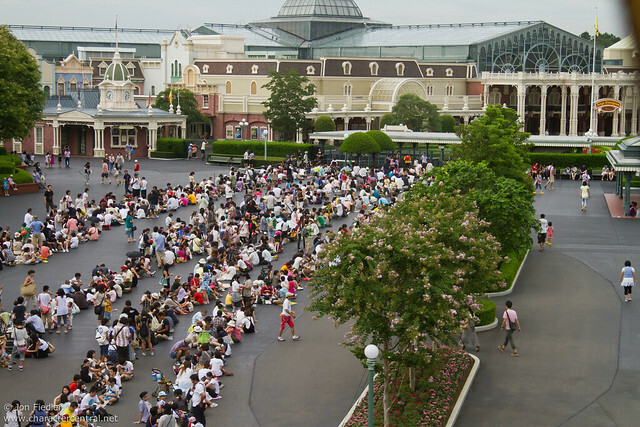 While I imagine for an extended period of time the parks will be even more chaotic than usual, with less attractions open and vast areas of walkway closed off, ultimately it can only be a good thing. 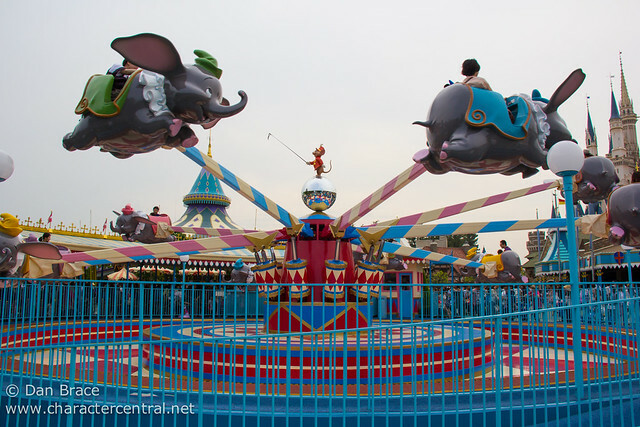 Tokyo Disneyland has long suffered from having the worst designed Fantasyland, still stuck in the pre-mid-1980s format, with the renaissance tents and the 8-arm Dumbo. 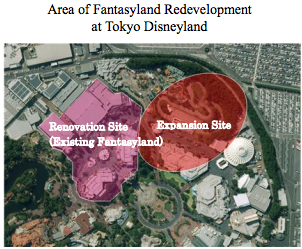 While I admit WDW's New Fantasyland is an improvement, they did nothing for the existing area which is also still stuck with the medieval tents, let's hope Tokyo does a better job, which is implied with the concept art and "Fantasyland Redevelopment" piece (above). 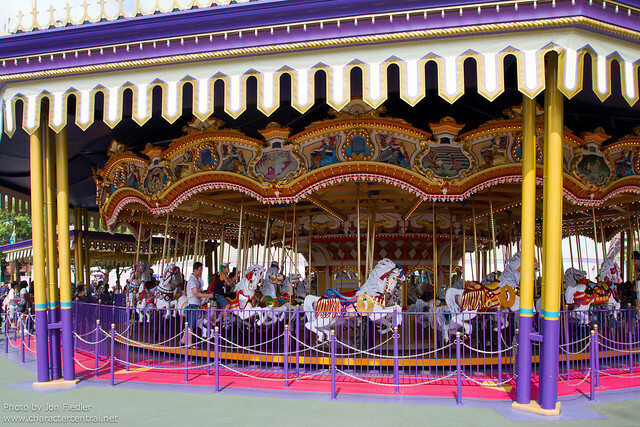 The new concept art shows that the location of Dumbo will move, and if you scrutinize it closely, it will be the newer style as seen at the all the other parks around the world. The concept art also appears to include what looks like Beast's Castle AKA Be Our Guest Restaurant from the "new" Fantasyland at Walt Disney World. All other details are sketchy, besides saying "new restaurants and attractions", and we probably won't know more for some time to come yet, but it is exciting nonetheless, and definitely interesting to speculate what may come. 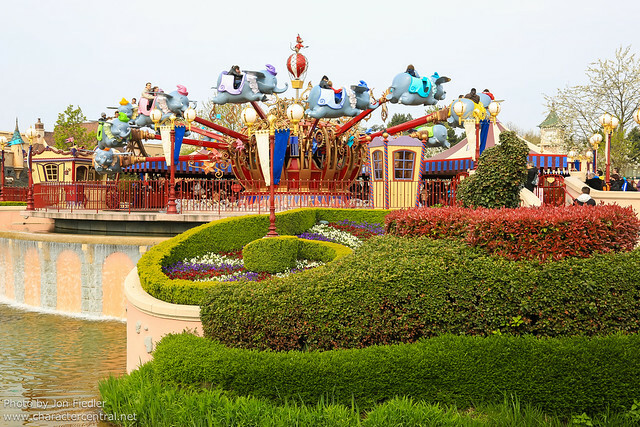 Before looking at DisneySea, let's take a look at the current Tokyo Disneyland Fantasyland and Tomorrowland in pictures, and I think you'll agree that they really need this new project. 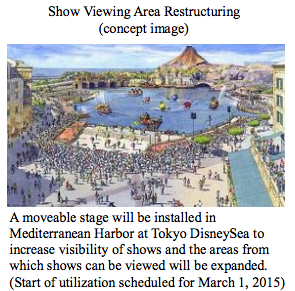 Tokyo Disneyland, as you saw above, had a piece of concept art released with the announcement today, but sadly Tokyo DisneySea did not. 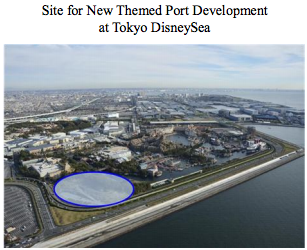 However, and although this is pure speculation, it would not surprise me one bit if we saw the installation of an Arctic themed port - not too dissimilar to the "polar land" rumored a number of years ago for the other parks. Could they be resurrecting those plans? If they are, could Anna and Elsa finally be getting a permanent Arendelle style retreat in exotic Japan? Afterall, Arendelle is a port in the movie! I guess we'll find out in a couple of years! 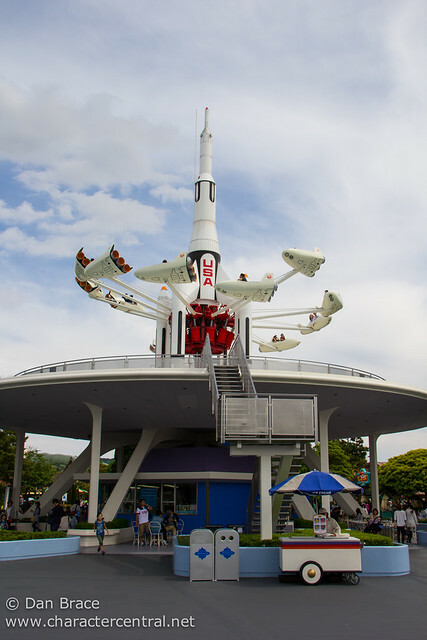 The vague circular shading over the photo of the new development appears to encompass an area which currently houses the Lost River Delta meet 'n' greet area. Although it may remain, the crude image does seem to imply this space will be swallowed with the new development. 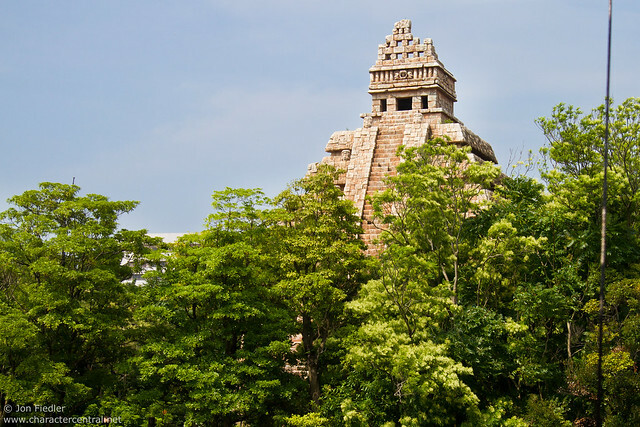 This photo of ours shows the current Indiana Jones attraction, the trees to the left are the start of what would be the new area. 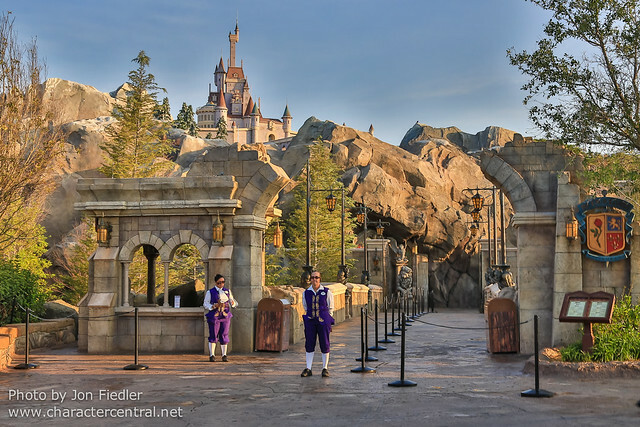 The press release also talks about "easing of congestion" (improving crowd control and guest flow) across the parks, which again is something that desperately needs to be addressed. 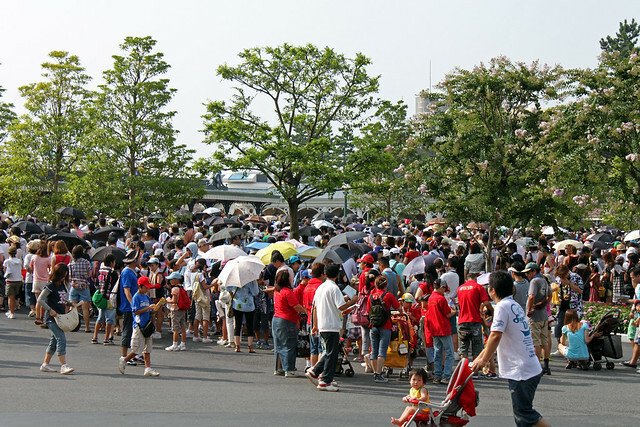 We have been going to Tokyo Disney Resort for a number of years now, and it has only gotten worse. Let's take a look at some of our insane crowd photos. So, those are my thoughts. Of course, anything can change at any time, and we won't know exact plans pretty much until they are in full construction, but it's fun to speculate on this exciting news. 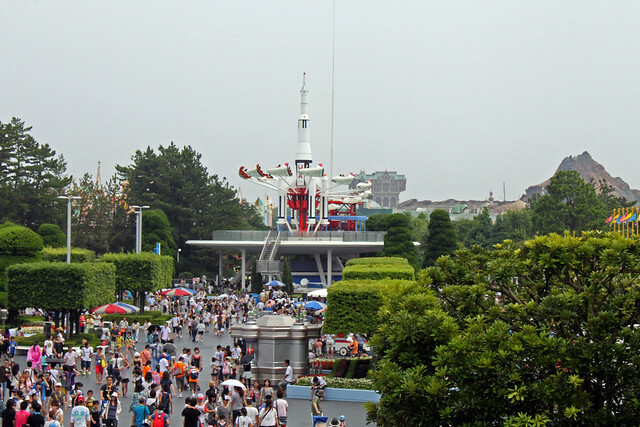 It's definitely great news to wake up, and I am very excited for the future of Tokyo Disney Resort, as I am sure countless others are too! Editor's Note: Lots of people on the internet, social media, etc are saying that a Frozen land is coming for sure, but I just want to clarify that the actual press release does not mention this at all. I myself even speculated above that this is likely, but at this point that is all it is - speculation. Dan. 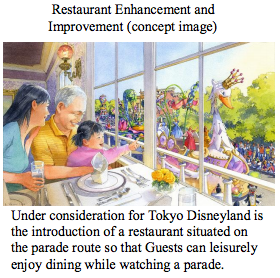 Concept images are copyright the Oriental Land Company, Tokyo Disney Resort and The Walt Disney Company, and were taken from their press release, here. Sorry it has been a while again, but we have been ever busy, and to be honest, there hasn't been too much character news out there! But, nonetheless I thought I'd just mention a few things that have happened in recent days. 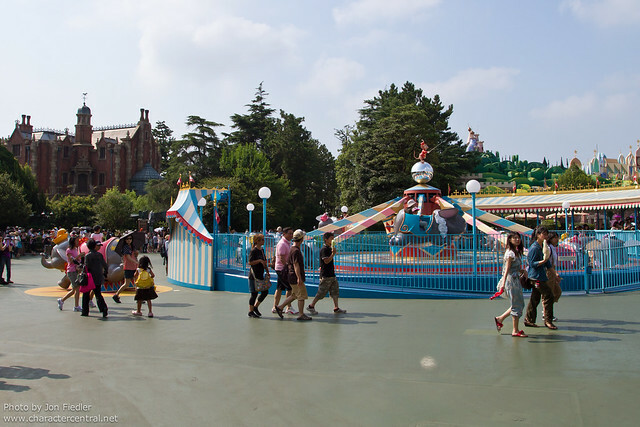 At Disneyland Paris, the new Meet Mickey opened in Fantasyland at the former Fantasy Festival Stage location. We don't have any of our own pictures to share right now, but from what I have seen of the inside, it is really neat! 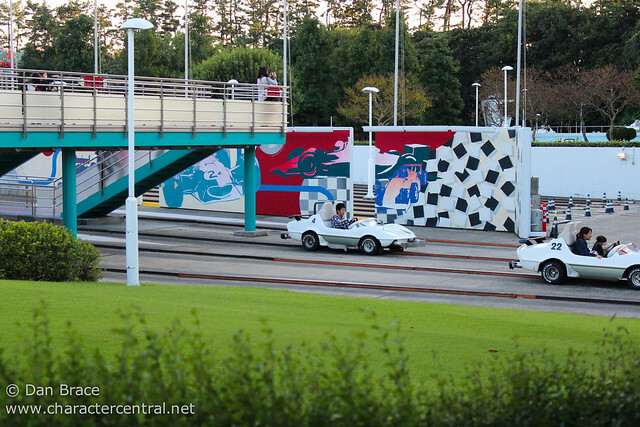 I think that they did a much better job of it than Town Square Theatre in the Magic Kingdom, that's for sure! Disneyland Paris also released the new Winter brochure for this year, and it provides some small (very small) details about what to expect this Halloween and Christmas seasons. Characters in themed outfits seem to be returning to both celebrations, and at Halloween the Villains too. 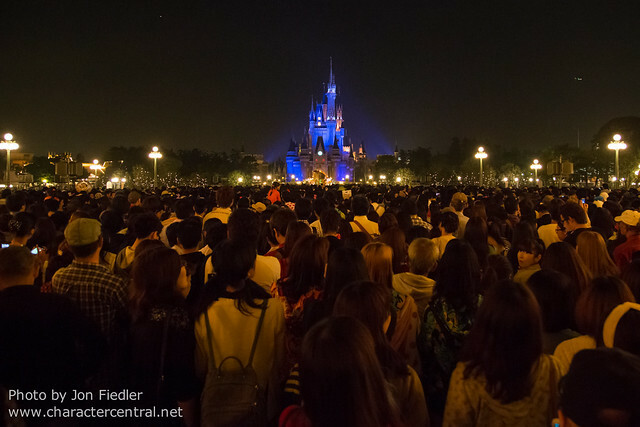 As we already knew, but now confirmed, the MNSSHPs are not returning (sadly), but the Soiree will. At Christmas, Mickey's Winter Wonderland will return, and the description uses a plural - shows - so we expect that the Tree Lighting will return, and a new, reworked Castle Lighting (seeing that Central Plaza Stage has now gone). Find a out a few more details, including dates, on our forum here (Christmas) and here (Halloween). Over in Walt Disney World, Star Wars weekend began last week, and have, as always, been featuring all the best loved characters from the movies. I haven't heard of anything exceptional this year, or anyone new, but if I do I'll of course post it here. Staying with the US Parks, both WDW and Disneyland launched Princess Merida from PIXAR's Brave last week. Merida now meets at the Fairytale Garden in the Magic Kingdom, and near "it's a small world" in Disneyland. Finally, last week I had posted a Happy Birthday Goofy post... I had done this because, according to numerous sources - including the Disney Parks Blog itself! - that it was indeed Goofy's Birthday. Now, according to Disney, it is Goofy's Birthday today! I have double checked against various different sources, and most places seem to agree it is today, but some places still record it as the 12th of May! Well, anyway, what ever the actual date (and my suspicion it is indeed today), we'll wish Goofy Happy Birthday again! 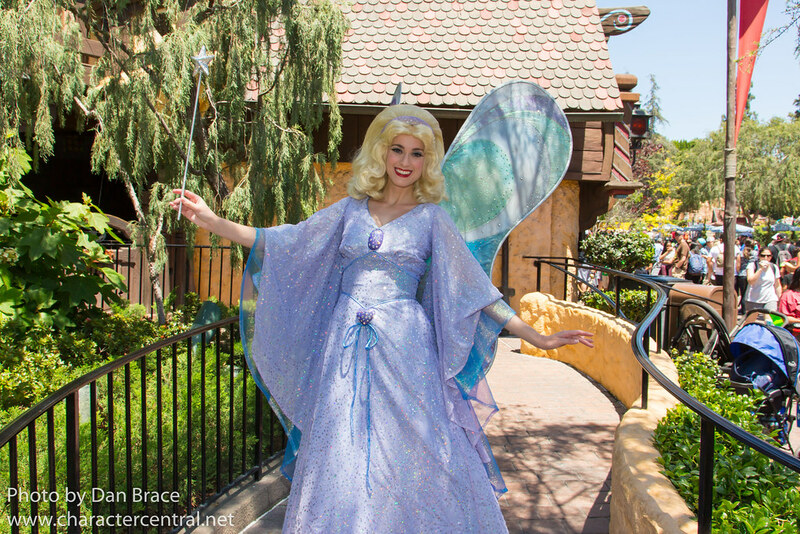 Check out last week's post for a photo filled tribute to our favourite goof in action at the Parks and Resorts! 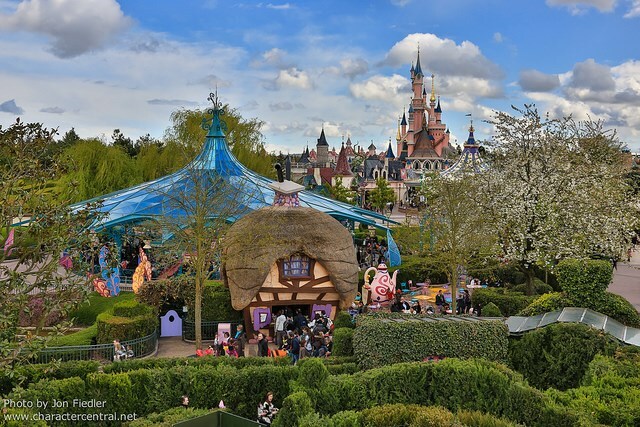 In this next part of our Grand Circle Tour of Disneyland Paris, we discover the whimsical world of Fantasyland. 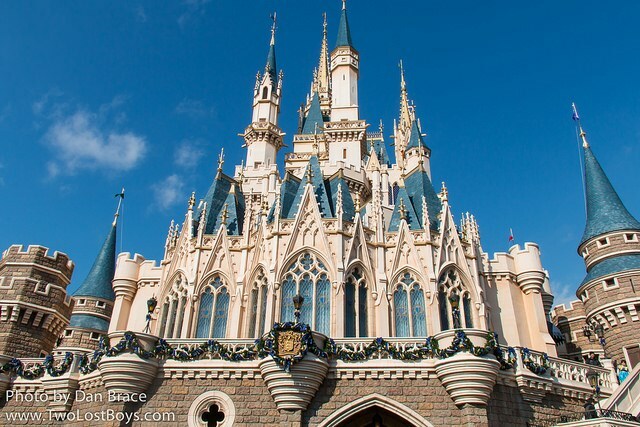 The gateway to this magical land is through the magnificent Sleeping Beauty Castle. 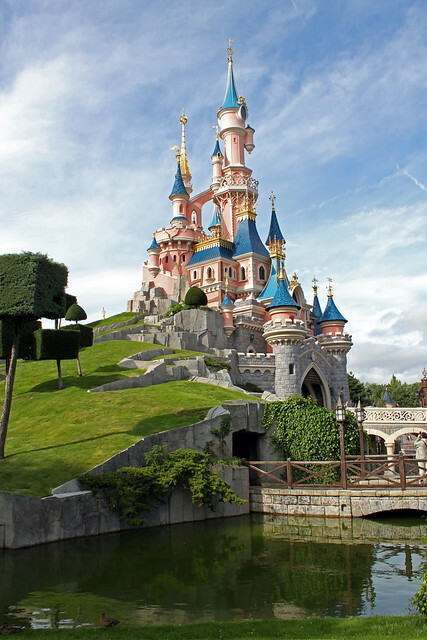 Home of Princess Aurora, and standing majestically above Disneyland Park, this icon is simply beautiful.